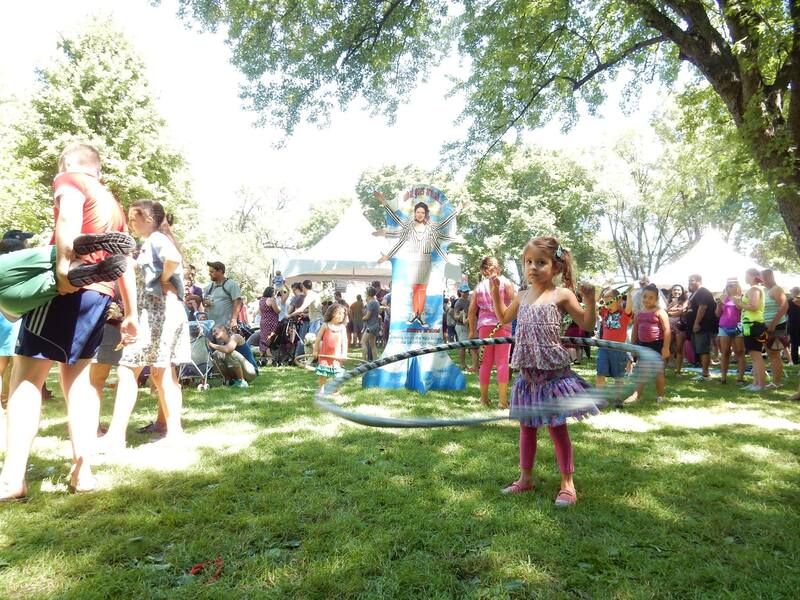 10,000 people spanning all ages, styles, races, and generations convened at Tour de Fat on July 9th in Palmer Square Park. New Belgium Brewing Company has put on this innovative circus-themed festival for 17 years now. 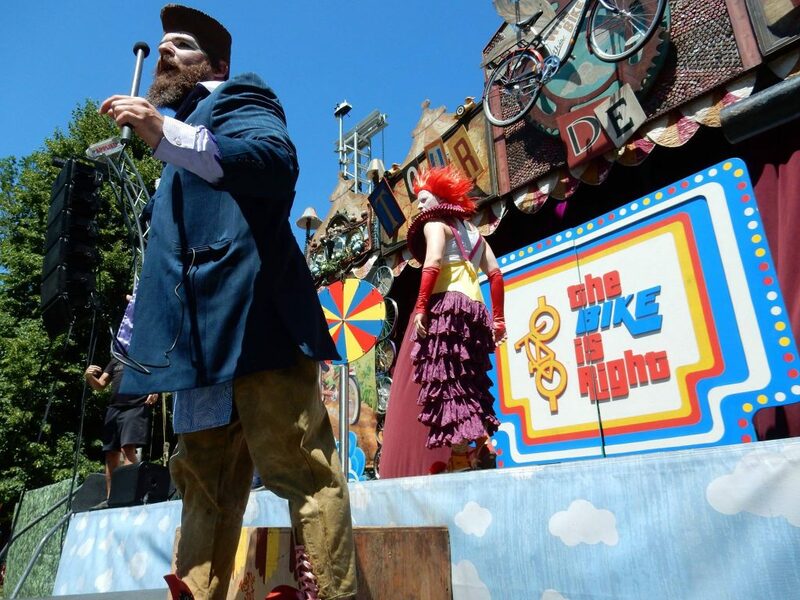 This traveling collaboration of artists, carnies, and performers will bring its spectacles to 9 different cities this year, producing zany entertainment, game show parodies, an interactive fashion showdown, culminating in a car-for-bike swap. Food trucks from all over the city collected at the edge of the park. People rode their bikes, bringing the whole family. Strangers met, gave away beer tokens, and became friends. It was inspiring to see everyone together once again, interacting as a collective creative community, and enjoying the beautiful Chicago day in pursuit of a happy, playful “Tour de Fat” life. 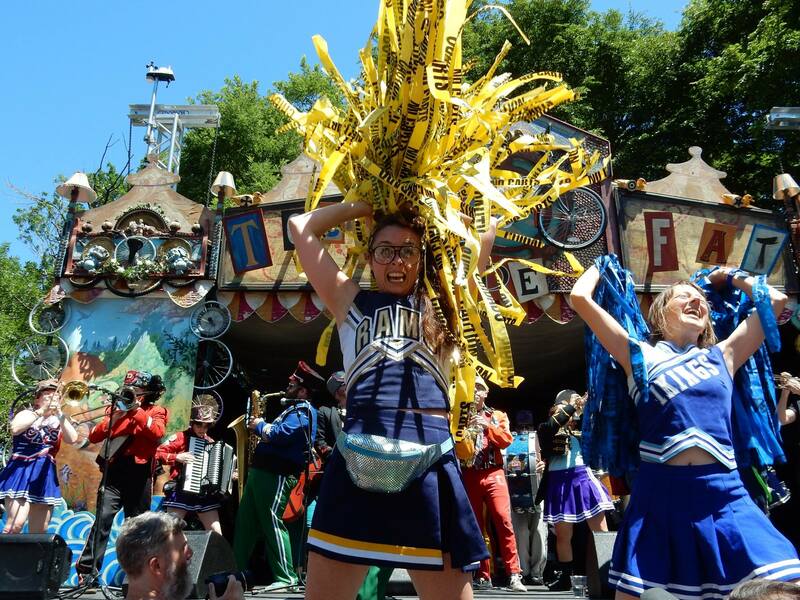 Around 1 pm, the Chicago based nerd-core band Mucca Pazza stole the stage with its “rock and roll meets high-school marching band” style, followed by the ramshackle psychedelic flavors of Dr. Dog. The day was fueled with New Belgium beer including Fat Tire, Ranger, Heavy Melon, Slow Ride, Blue Paddle, Citradelic Tangerine IPA, beers from the Lips of Faith series, and of course, Carnie Blood Vol. 3, an Imperial Stout with chicory and two single-origin cocoas. The event was free, but proceeds from donations and beer sales were given to Chicago area non-profits. Over $60,000 was raised for West Town Bikes and CHIRP radio. 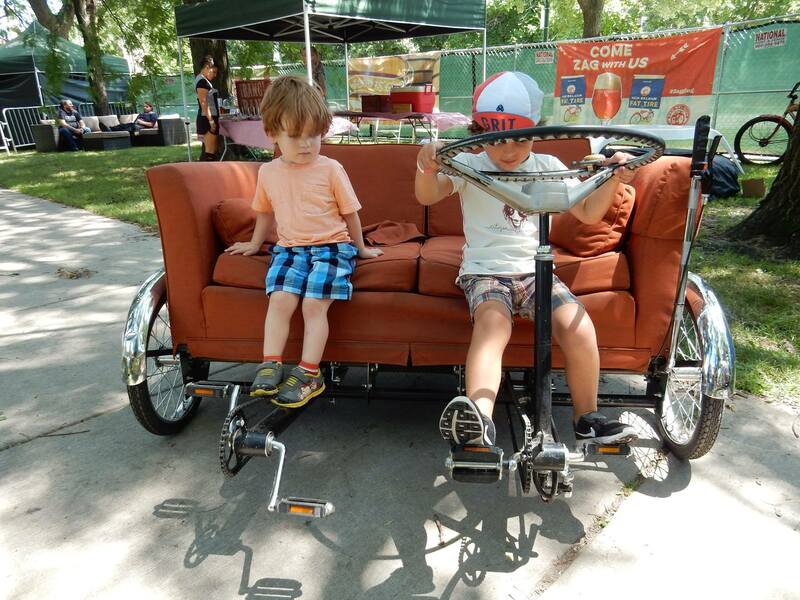 West Town Bikes uses proceeds for its youth bike education program, which is geared towards rerouting at-risk youth and training them to be a part of an organization. 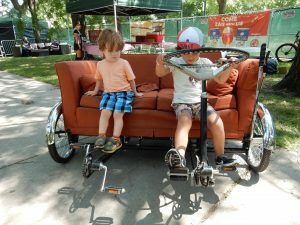 “The funds raised through Tour de Fat have made it possible for West Town Bikes to grow our programs, staff, and facilities,” according to Alex Wilson, Executive Director and Founder of West Town Bikes. 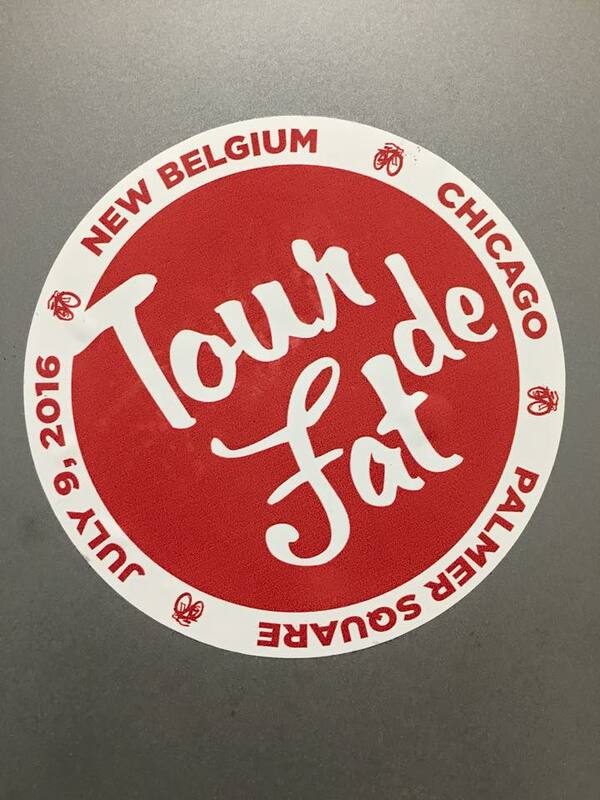 “Not only does it celebrate bicycling, but through its generous support, it lets West Town Bikes spread that love throughout Chicago all year long!” (Tour de Fat, New Belgium Brewing, ’11). There are currently at least 100 graduates of this program that have grown to become bike mechanics or to have taken jobs in sales or business administration around the city. Who will bring home the bike today? Carnies love their job, since they create something that makes people happy. 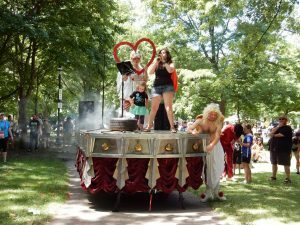 The day began with a bike parade, hailed by New Belgium Brewing as a “joyful expression of art/transport/traffic.” The parade almost necessitates dressing up, and anyone can participate. The parade creates the stage for Tour de Fat, one that supports creativity and builds a community. 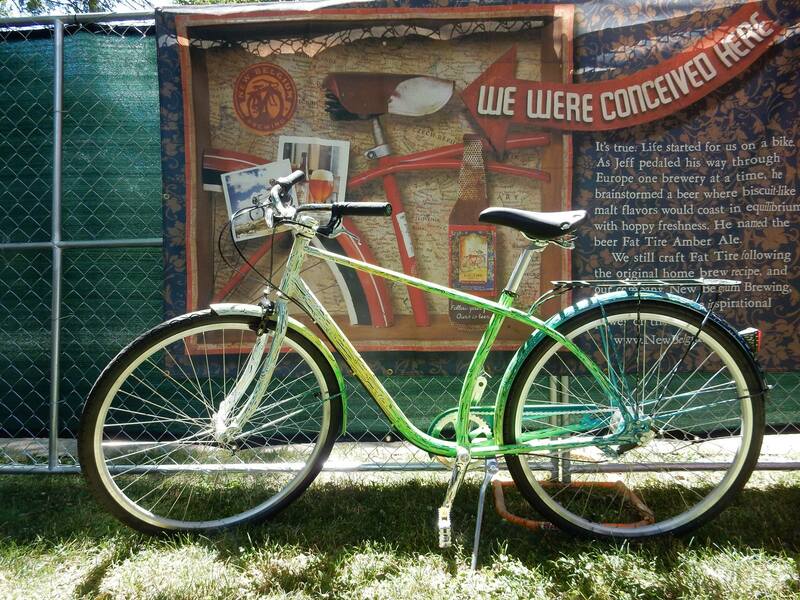 Not surprisingly, the fest is themed by the iconic Fat Tire cruiser bike. Biking emphasizes a balanced time. Balance is something important to New Belgium, and co-founder Kim Jordan has always viewed the bicycle as “one of the tools that will save the world, or at least make it more fun and human.” Kim strongly backs Tour de Fat’s purpose of giving back to the community: the festival’s purpose is not only to promote the brand, but also to take on real meaning and do some good in the world. 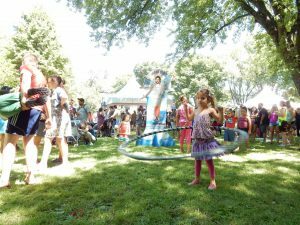 The festival wouldn’t amount to much more than a bike and brew fest without the participation of volunteers and non-profit organizations. Over 300 volunteers are present at each tour date, and every one of them shows dedication, passion, and belief in the power of the bicycle to ensure Tour de Fat’s success each year. 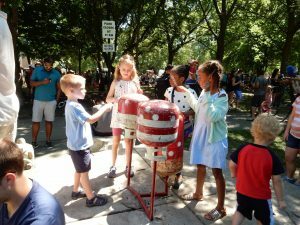 Among New Belgium’s 10 core values are the support of having fun in addition to many others: youth environmental education, sustainable agriculture, smart growth and building great communities, bike advocacy, and water conservation. The company seeks to reduce its carbon footprint through alternative energy – solar, composting, and recycling. New Belgium also has a philanthropy program where non profits can apply for grants. The brewery donates $1 a barrel to non-profit organizations where their beer is sold. Since they started its grant program, New Belgium has donated more than $8 million to non profits. 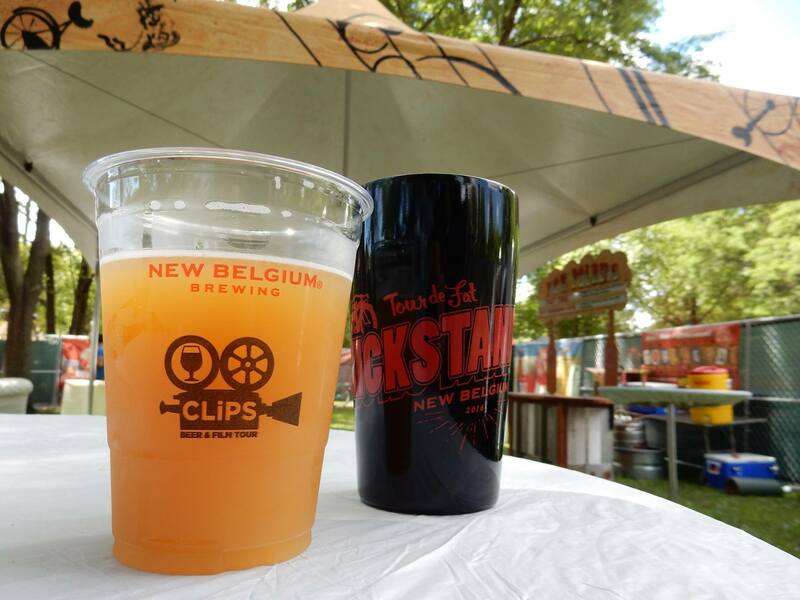 “New Belgium celebrates 25 years this year,” said Kowal. “To me, more than anything, that means 25 years of Fat Tire shining like a rainbow over a waterfall of ho-hummity. Emblazoned with a red cruiser bicycle, Fat Tire speaks to the inspiration of our company, our founding beers, and our ethos of balance. And so it was and so it continues to inspire us all, let’s celebrate! 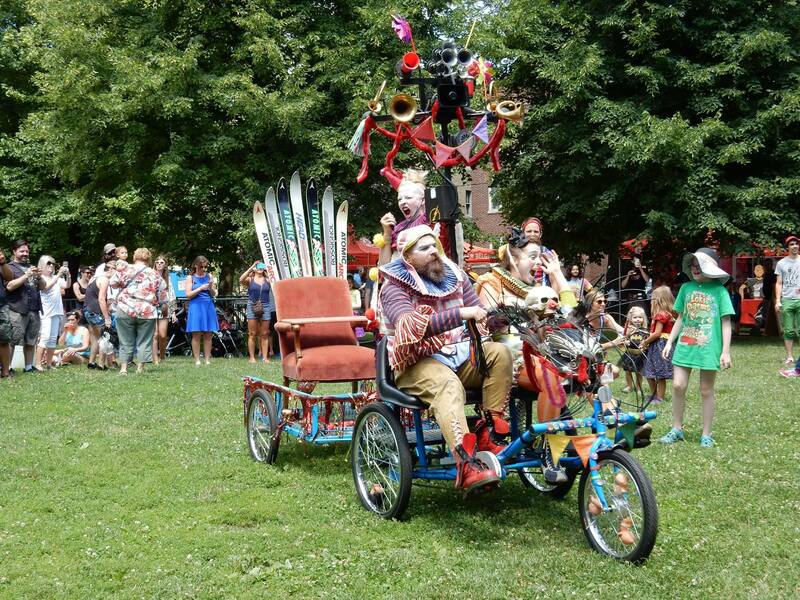 Whether you ride your bike down or ride one of our mutant bikes around, we will have a bash and raise some cash for bike-orgs that work hard for you all year! To memorialize the bike logo, and to celebrate their 25th anniversary, New Belgium connected with Chicago artist Nick “Sick” Fisher to bring the “slow ride” metaphor to life, and to create a functional piece of artwork to commemorate love of life, community, and biking. In addition to the Art Bike, Sick Fisher recently completed a mega mural celebrating Tour de Fat’s return to Palmer Square for 2016. You can find this on the back of Crown Liquors in Logan Square. The video above shows that Nick “Sick” Fisher epitomizes the goals of Tour de Fat – do what you love, and be happy. He paints everyday to be happy. He’s lived eight years in Chicago, in the Humboldt Park and Logan Square neighborhoods, and pursues as many local projects that he can. 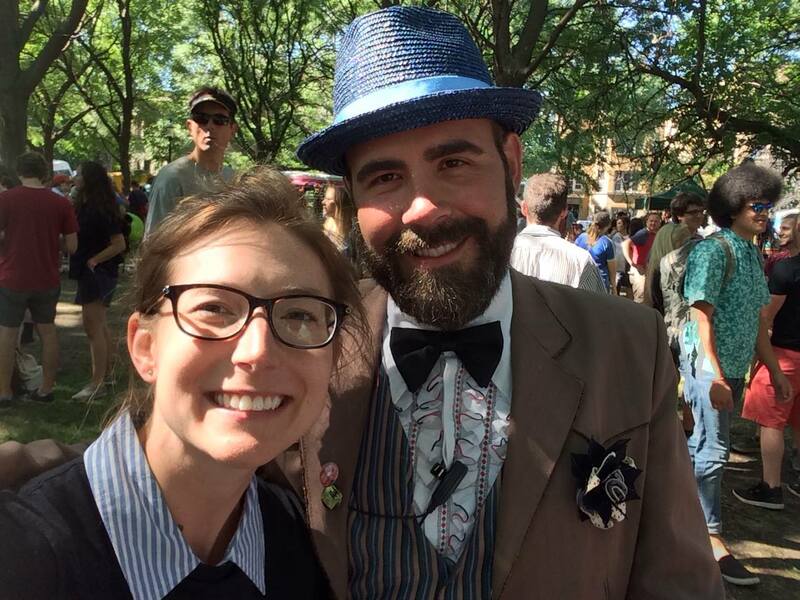 He believes that Chicago is the best city for biking, and that it has a great community for bicyclists in general. For his project “The Bike,” he trusted his instincts, with a “healthy amount of planning.” Like life, plans change! I agree. It’s good to have a plan, but it’s important to be able to change plans and adapt. 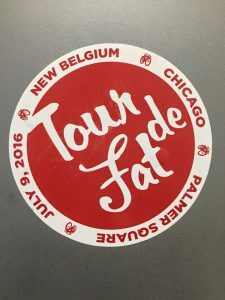 Tour de Fat and New Belgium have been changing and adapting throughout their years together, and Chicago Beer Geeks can’t wait to see what they come up with for next year. 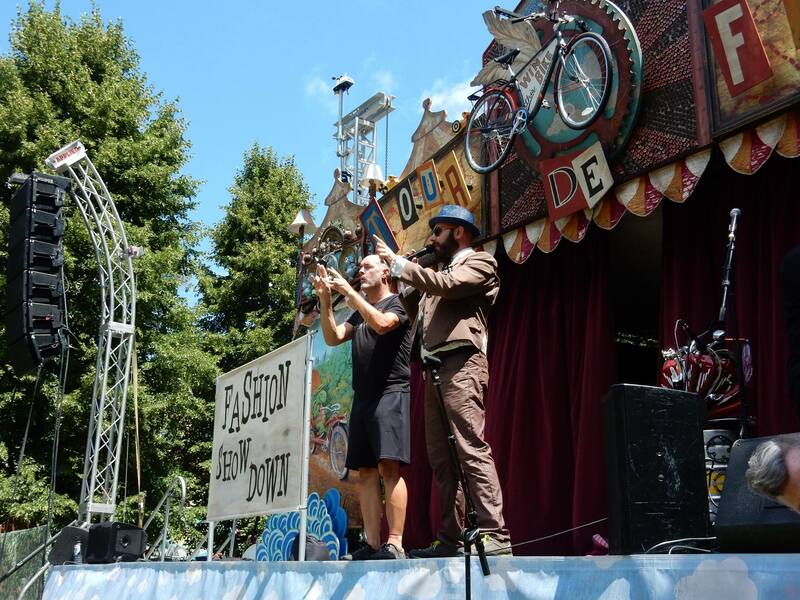 Written with special thanks to Matt Kowal, for taking time out of his busy day to chat with me, as well as Steven Navas, Field Marketing Manager for New Belgium Brewing Chicago, who generously met with me before the festival to share his passion for New Belgium and Tour de Fat. Want to learn more? There’s a Tour de Fat book! Check it out here. CBG Ali, Fat Tire, New Belgium, Tour De Fat. Bookmark.